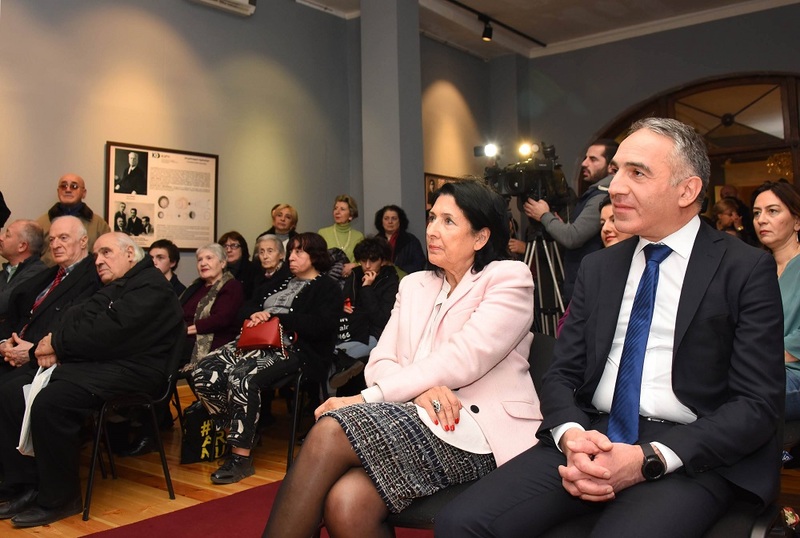 The Minister thanked Giorgi Kalandia, director of "Art Palace", as well as each member of the creative group working on the album and noted that the book will be equally interesting for both scientific circles and ordinary readers. "The book is truly unique, because it includes one of the most important periods in the history of Georgian art. The catalog is bilingual, and the ministry will do everything together with the art palace to send it to the leading libraries and scientific centers of the world "- said Mikheil Batiashvili. Presentation of the album was also attended by independent presidential candidate Salome Zourabichvili and Georgian Diaspora representatives from different countries. The 300-page bilingual album was created with the support of the Ministry of Education, Science, Culture and Sport of Georgia, within the 100th anniversary of the Independent Republic of Georgia. The catalog brings together unpublished, unique archival materials and tells us about many interesting and unknown facts about the art and culture of the Democratic Republic of Georgia. In order to compile the collection, the Georgian Press (mostly the magazine "Theater and Life") has selected pictures over the period of 72 years, which fully reclect the spirit of the epoch.